CASE STUDY:-How CarTrade became #no1 Indian auto portal for used cars in just 5 years? 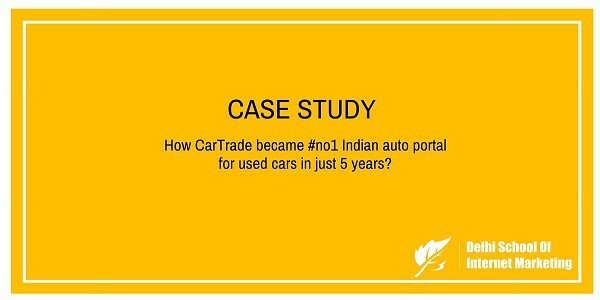 Home > Blog > Blog > CASE STUDY:-How CarTrade became #no1 Indian auto portal for used cars in just 5 years? 3) How was CarTrade Started? CarTrade is among the country’s largest auto classified platforms. For used-car buyers, it offers a selection of over one lakh listings, price information and car certification, and for new car buyers, there are features such as reviews, on-road prices, car comparisons and latest news. Talking about the educational background of Vinay, he has a professional Bachelor’s Degree in Commerce from Sydenham College and later he moved to United States for higher education. He completed his Masters in Business Administration from the University of Virginia, and then worked for eBay India as Country Manager. Currently he performs his duties as the Managing Director for Nirvana Venture Advisors and also acts in the Board of Directors for various companies like Games2win India Pvt. Ltd, Housing.com, Quikr.com, etc. Vinay Sanghi, has been the driving mind behind the idea of CarTrade.com and since its inception in 2009, he is working continuously to provide users an ease to choose cars of their choice. Coming from a renowned family background dealing in automobile business gave him an excellentoutlook of the automobile market. Vinay was a born entrepreneur! As he belonged to a business class family, so he decided to act as an entrepreneur that he thought to be safe as business was in his blood. Since his early days itself, while he was studying, he made sure that he was an active part of his family business – ‘Sah and Sanghi’, which was mainly into car dealerships. After completing his studies, he started running the whole show. This was the time when new cars were more of fancy to people and the used car market either was at a minimum and was unorganized and broken into fragments. The positive thoughtstroked in the mind of Vinay when he mentioned the fact that there was no one-stop platform where one could find cars or dealers who were selling used cars. Before starting CarTrade.com, Vinay was associated with the Mahindra First Choice Wheels Ltd. Starting in 2000 as CEO of Mahindra and Mahindra for over 8 years, Vinay very efficiently organized the whole scattered sector, brought-in the culture of used cars and more significantly transformed the organization from being just a start-up into a fully-fledge organized used-car retailer. In 2009, after creating a new vertical altogether, Vinay noticed the two kinds of market for cars – New and Used. It was the time when Indian audience was moving towards World Wide Web for their requirement but yet there still lied a gap in it. Thus, noticing the pain-point Vinay swiftly decided to build an auction platform for repossessed vehicles, and named it “Motor Exchange” (now CarTrade Exchange)and successively launched “CarTrade.com”. • First, CarTrade offersits customer an option to look for used and new cars without compromising with their comfort zone which otherwise would usually be by visiting nearly 20 uneven dealers. • Second USP of CarTrade is giving surety of certified cars to the customers. First thing that comes to the mind of any customer is the condition of the used cars and this doubt was cleared by CarTrade through the certified engineers of CarTrade who checks the cars before listing it on the website along with a report.CarTrade has 200 automobile engineers, on its payroll, who certify cars on its website. 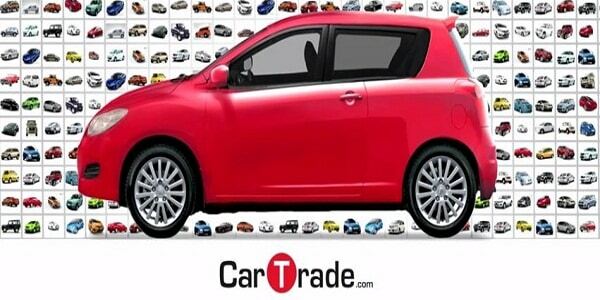 • And thirdly, to make sure if the price is right, and to help its customers CarTrade provides an approximate justified price one should pay for the car. Talking about their funding rounds; so far the company has raised a total of $30.2 million from Warburg Pincus, Canaan Partners and Tiger Global Management in 2014. Other than that; MXC Solutions the parent company had also raised $13 million from Tiger Global Management and Canaan Partners in 2011. The money was primarily used for their second online vehicle auction wing CarTradeExchange.com. In the next three years after its inception; being a pioneer in an untapped market – CarTrade has not only increased the demand for used cars to 3.7 million today, but has also gave a 20-24% growth to the pre-owned car sector. Traffic to CarTrade’s website is twice that of competition. The portal gets 5 million unique visitors per month excluding its Android and iOS apps. Key competitors include OLX, an online classifieds marketplace for used goods, and automotive portal CarWale. According to sources, CarTrade is in the final round of discussions to acquire its major rival CarWale Group for about $120 million. If the deal is finalized, then it would be the second big partnership in the automobile classified space after Cardekho acquired Zigwheels, an auto portal owned by Times Internet, for an undisclosed amount in July. A year back, Cardekho had also bought Naspers-backed Gaadi.com. Sanghi points to the scalability of the industry—approximately three million used cars are sold annually in India. “It’s such a huge market, but consumers don’t know how to go about buying used cars. Currently, India has about 15,000 used car dealers. But, it is unorganized market and options available with the dealers are limited in terms of variety of models, colors and price points. By the year 2014; CarTrade had around 30,000 vehicles and 2,000 dealers listed on their website and were clocking more than a trade of 10,000 vehicles every month. They had also grown to a team of more than 350 people, out of which, 250 of them specifically worked on training the dealers for online auctions and also to rope them in. According to Sanghi, CarTrade’s gross merchandise volume (GMV) was about $1 billion in FY15, adding that the company plans to double this figure by the end of the current fiscal. CarTrade now has 20 franchise stores across India including branches in top cities like – Delhi NCR, Bangalore, Ahmedabad, Pune, Chennai, Kochi, Hyderabad, Kolkata, Nagpur, Indore, Coimbatore, Jaipur, Hubli, Ludhiana, Guwahati, Patna, etc.